Hay fever is also known as Allergic Rhinitis causes cold-like symptoms such as itchy eyes, running nose, sneezing, congestion, and sinus pressure. Hay fever is not caused by a virus but is caused by an allergic response to indoor or outdoor allergens such as pet dander, pollen, or even dust mites. 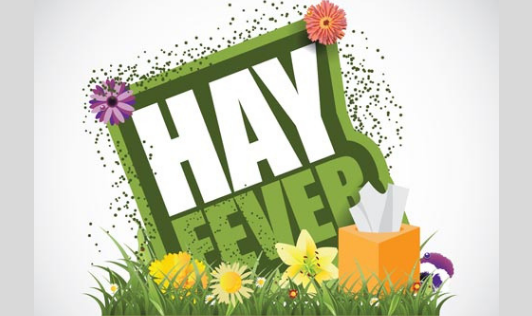 Hay fever can make one feel weak and miserable affecting performance at work or school and interfere with indulging in leisurely activities as well. Hay fever can develop at any age but one is most likely to be affected during childhood or early adulthood. For many people, hay fever symptoms may diminish slowly, often over decades. Also, one may have allergy symptoms all year long, but the symptoms may worsen during certain times of the year. Your symptoms become severe and your allergy medications are causing troublesome side effects. Note, despite the name, Hay fever does not mean you're allergic to hay!